Welcome to Consequence of Sound's first-ever hip-hop zine. The Plug is Consequence of Sound‘s monthly hip-hop zine. The aim is to explore the genre on a purely musical level and from a cultural standpoint. This inaugural issue includes a discussion of the Chuck D vs. Hot 97 feud, 11 reviews, and the lyrically focused third edition of Michael Madden’s Trappers and Philosophers column. 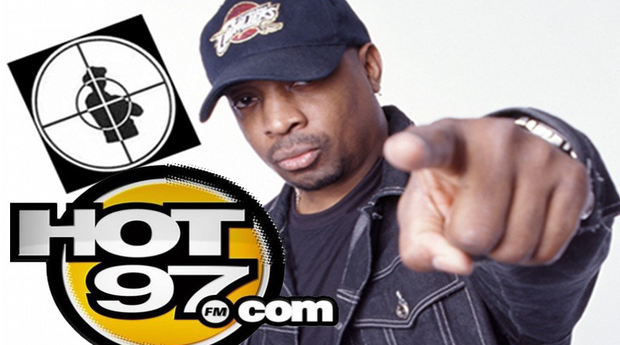 Following Hot 97’s Summer Jam on June 1st, Public Enemy founder Chuck D took to Twitter to troll the New Jersey radio station (“Where Hip-Hop Lives”), decrying the state of rap radio and the genre’s moral decline, among other things. Ultimately, Chuck’s tirade resulted in an ugly-but-necessary discourse. Sheldon Pearce (SP): There’s a belief that rap has devolved into a self-deprecating, amoral cesspool that is destroying the black community from the inside. If Chuck D doesn’t agree with that entirely, it’s certainly coming off like he does. I have a problem holding art, and especially rap, to a moral standard because it’s a medium for self-expression and not some type of manifesto laying the foundation upon which a society should operate. A kid from Compton like YG, who performed at Hot 97’s Summer Jam, is going to rap about what he knows, and what he knows is violence that in the grander scheme of things is less a derivative of rap music and more a product of classism. Yes, black culture is heavily influenced by the music, but the music is just as much a byproduct of black culture. It’s a cycle that didn’t start with rap. The issues existed long before the genre did, and it isn’t rap that is perpetuating them; it is rap that is continually bringing them to the forefront. It’s unfair to place the burden on rap culture to police itself. Rap’s moral code is not the problem. I think it’s a bit single-minded to suggest that rap’s so-called Golden Age (the period where Public Enemy and collectives like the Native Tongues thrived) was some kind of era of utter rap purity when It Takes a Nation of Millions to Hold Us Back and Straight Outta Compton both came out in 1988. 1982 had Grandmaster Flash & the Furious Five’s “The Message”, but Too Short’s “Coke Dealers” came just a few years later. Violence, narcotics, and misogyny are a part of rap’s history. Modern rap isn’t some aberration; it disseminated from earlier incarnations of the art form, which has always been politically incorrect. Rap always has and always will document the issues that plague the black community. How it goes about doing that continuously evolves, but it’s unfair to ask every album to be Fear of a Black Planet or 3 Feet High and Rising. Should more records be like them? Absolutely. But who are we to dictate the self-expression of others? BDP made Criminal Minded and By All Means Necessary back to back. Both are classics and both are important despite sporting radically different ideologies. I don’t believe that somehow over time rap has become the primary propaganda used to vilify black people. The media does that well enough on its own. Rap hasn’t deteriorated, and it isn’t promoting moral decay (though there will undoubtedly be casualties). Society as a whole has simply gotten more liberal. While there’s no disputing hip-hop as a corporate entity that shifts on the whims of executives, you can’t tell me that Nas, 50 Cent, Wayne, and Nicki were handpicked by the anti-black propaganda machine as a part of some agenda to destroy the black community. Maybe that can be said of Troy Ave (joke). Nas is a legend. 50 will always be New York royalty. The G-Unit reunion is huge for rap right now. Wayne and Nicki are incredibly hot right now. Drake and Wayne’s “Believe Me” is everywhere and not because it’s being pushed. It’s everywhere because it’s dope. Consumer buying power does still have some say in where the culture goes. 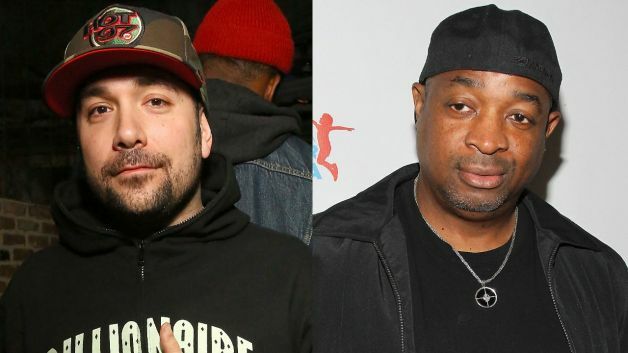 Michael Madden (MM): Hot 97’s Peter Rosenberg, during his Stephen A. Smith-intense on-air take on Chuck’s stance, called Chuck’s tweets “confusing.” That’s the only word for it and not just because of Chuck’s improvised punctuation. I think Chuck’s main message is that rap is already full of amoral ideas and that radio and other widely influential institutions should be wary of perpetuating those ideas. There’s no question that Hot 97’s playlists are dictated by forces besides Rosenberg, Ebro Darden, or anyone else in that studio. But the songs they do play are the hottest records out, and some happen to be loaded with lines about senseless violence, drug dealing, and misogyny. On the other hand, we have more choice than ever to listen to the music we want to listen to — nothing is forced upon us. More than ever, listeners are finding their favorite music outside the airwaves. When I tune in to 89.9 KMOJ in Minneapolis, the Twin Cities’ foremost hip-hop and R&B station, it’s rare that I’m hearing a given song for the first time. As someone who’s never lived in New York, I doubt I have a thorough grasp on Hot 97’s steady cultural importance. I can certainly understand lifelong listeners taking issue with the playlists today. But, in sum, I think it’s hazardous to enforce some kind of moral code, which is what Chuck insists on doing. “A universal HIPHOP standard should be created,” he tweeted. That sounds like it would lead to a lot of sameness and thwarted creativity. One thing I love about music in today’s climate is that there aren’t any standards; otherwise, we wouldn’t be hearing all the voices and perspectives that are out there. I listen to Chicago’s much-debated “drill rap” scene pretty much every day. The violence of that scene, as with most of street/mixtape rap, is a reflection of reality, however unfortunate that reality may be. I think it’s refreshing when virtually no corporate mediation takes place between a song’s genesis and its subsequent uploading to SoundCloud or DatPiff. This situation seems to be all about authority (specifically because of Chuck’s decades-long career and pioneer status) and responsibility (specifically because of Hot 97’s status as a potential tastemaker). I think both are being blown out of proportion. 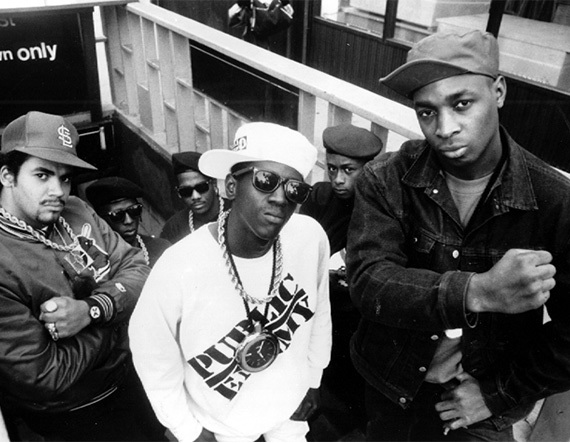 Will Hagle (WH): It’s important to note that Chuck D and Public Enemy have had an enormously positive impact on hip-hop culture and that the group’s longevity speaks to the strength of the message they’ve been spreading for decades. Still, he’s not offering an opinion any different from the increasingly out-of-touch arguments made by those that were around in the genre’s earlier years. If Twitter had existed 20 years ago, I have a feeling Chuck D would have gone on a strikingly similar tirade. Although Hot 97 is very much a cultural institution, as is Summer Jam in its own right, Mike is right that the industry has fragmented to the point that a “universal hip-hop standard” makes little to no sense in 2014. A bigger concern with Summer Jam this year could have been that YG had top billing over New York artists like Nas. I don’t know when the older generations will realize that things change with the culture, but I am getting tired of their recycled arguments. There may be a social responsibility for artists not to perpetuate the misogyny, racism, and homophobia that can be found throughout many hip-hop lyrics, but anyone who thinks that the culture has taken a nosedive into those dark territories is missing the point. It’s an unfortunate yet undeniable truth that the corporate entities in the music business will exploit real-life violence — like the gang issues plaguing the streets of Chicago — for personal gain. This is a trend we’ve seen for years. Music execs are not concerned with what happens on the streets as long as the money is directed to their bank accounts. Thankfully, execs that know little to nothing about street life or hip-hop play a small role in the industry when it comes down to it. Not only are listeners discovering music by means outside of traditional radio, but artists are finding their own lanes outside of the mainstream industry. 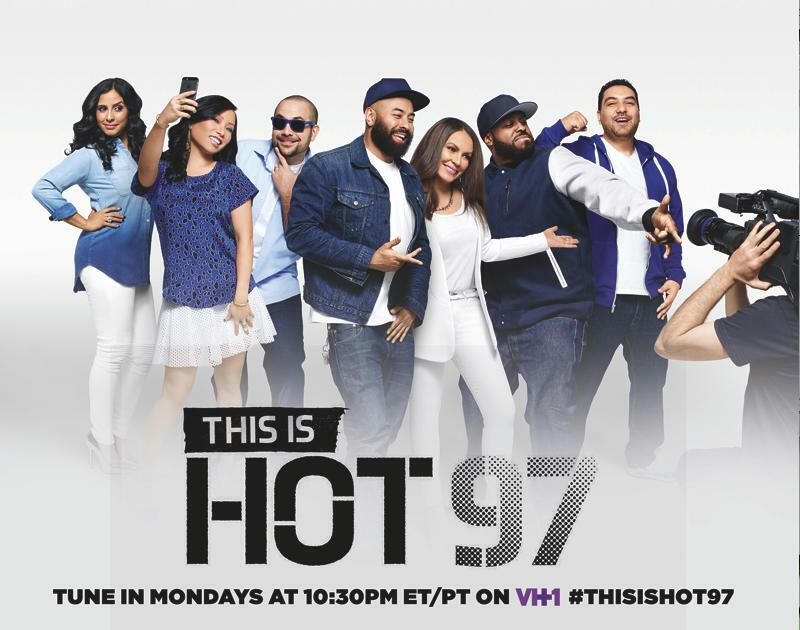 It’s no longer the responsibility of major labels and stations like Hot 97 to dictate what’s popular or good. An artist with an internet connection will reach his or her audience, and the audience can dictate whether or not his or her message is socially acceptable or has a positive impact on the overall culture. We’re not totally there yet, but that’s the direction we’re heading. As long as people continue making music that reflects real life, and fans like us continue discussing whether or not those types of songs should be made, then at least the genre is moving forward rather than stagnating. SP: Any sort of standard would stifle individuality. Restricting rap’s ability to grow and expand into something different is incredibly counterproductive. How can Hot 97 push local acts when none are making a mark on the culture? Even the rap being funneled down the pipeline and force-fed to the masses has some sort of genuine following. 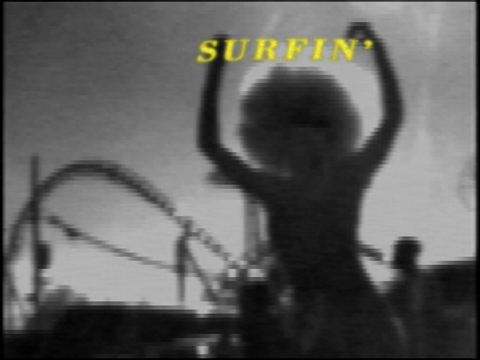 Iggy Azalea may be some conspirator’s anti-black propagandist, but I knew “Fancy” would blow up when I stumbled upon it on an indie blog five months ago, not because she’s on Virgin EMI, but because it’s infectious. Here’s the thing: Wherever there is a medium to be exploited, there will be an executive working to exploit it. We can harp on that until we’re blue in the face, but unless there is some pending economic revolution, it’s not going to change. Anything that can be monopolized will be. Anything that can be monetized will be. We live in a capitalist society. Rap isn’t exempt from that. Expecting music executives to put artistic integrity above profit margins is naive. Even at Public Enemy’s apex, Jive Records was releasing DJ Jazzy Jeff and Fresh Prince albums. It is important to note, however — and this has been said already, but it bears repeating for emphasis — that there are more options for consuming music now than ever before. Executives have the power to push records, but consumers have the power to easily combat that just by surveying the market and deciding what to consume for themselves. Urban NY radio doesn’t have nearly the cachet it once did, and everyone outside New York seems to know that. Hot 97 does not have the same selling power the internet does. New York radio is more emblematic now, a symbol for the Burroughs’ influence on early hip-hop culture. There’s a certain respect factor at work there. But let’s be real: Hot 97 and Power 105 have very little impact on what people listen to anymore. Radio is no longer the gatekeeper that gets to parse through prospects and decide what’s hot. Funk Flex isn’t responsible for Macklemania. “We Dem Boys” was everywhere before Ebro got his hands on it. The two biggest young rappers right now, Drake and Kendrick, became staples without it. Chuck D is propping up and scapegoating an institution that isn’t nearly the maniacal puppeteer he is suggesting simply because it can’t be. Not to mention his argument is incredibly dated. I mean, Scarface essentially said the same thing a year ago with far more panache. At the end of the day, though, we must take Chuck D’s comments for what they are: a begrudging finger wag at the next crop of MCs from an old guard purist who staunchly believes in his personal brand, which happens to be waging war against oppressive systems. While there is certainly some merit to his comments, this whole situation feels vaguely like a well-past-his-prime legend reaching for relevance by putting the onus on the next generation to live up to a standard that doesn’t exist. Brian Josephs (BJ): Chuck D even remotely implying that there should be a “universal HIPHOP standard” in the first place is weird. Art underneath a singular worldview doesn’t raise standards but creates stagnation with the implied belief that everything that falls outside of those standards isn’t credible. Is The Low End Theory lesser than Nation of Millions because it doesn’t use militaristic abrasiveness? I can only hope Chuck D’s call for this “universal” mindset is a misguided, reactionary defense against The Man — namely corporate radio in this case. The Man comes in many forms, though, and these days traditional radio is one of the more hapless ones. I guarantee you [insert fledgling rapper here] isn’t going to get more spins on my playlist because the Hot 97 crew decided to push it. As Sheldon noted, the corporation exploits whatever it sees as profitable — this isn’t specific to hip-hop. That’s the nature of capitalism, and Chuck D is going to be facing a much bigger fight if he’s going after a centuries-old system. I suppose you can go after the hip-hop community itself for not protecting its art, but to do so ignores the messiness of the relationship between black ownership and capitalism. You can praise the prototypical golden standard albums from prior decades because of their artistic integrity and honest portrayals of crack epidemic-era strife. But in order to be distributed and exploited, to be heard by enough people to be exalted, it has to be sellable music. It’s a trade-off of sorts: I’ll compromise to give you what you want if you give me what I’m owed. The average rap cat isn’t going to turn down money to solely rap for the culture. Hip-hop is art. Unfortunately, it’s also product. Whether you want to label the selling of the product as minstrelsy or pimping is entirely up to you. MM: The multi-generation deluxe cover art of Common’s upcoming Nobody’s Smiling (which features his fellow Chicagoans King L and Lil Herb) struck me as surprisingly significant. It represents an openness to change, plain and simple. I hope this attitude is contagious. I can’t overstate Chuck D’s importance, his positive impact. I’m a Public Enemy fan. But old-school stubbornness is off-putting in a situation like this. Let’s circle back to the biggest issue here: moral decay. It’s tricky to talk about, admittedly. I agree there are terrible, offensive trends in rap now more than ever. Murder is hard to understand apart from kill-or-be-killed situations and the like. It’s also reprehensible to brag that part of your drug-dealing revenue comes from authentic fiends. For each of these or any other gripes (which, by the way, rarely thwart my enjoyment of the music unless I think the person I’m with is uncomfortable), there’s something I don’t disapprove of. I’ve rarely been offended by use of the n-word in music made by black artists, because it just seems like the equivalent of “man.” Nor have I ever thought twice about censoring it when writing for this or any other outlet, unless asked to do otherwise (and that’s happened, too). It’s all about perspective, finally. No matter where you rate on the liberality scale, the next person thinks slightly differently one way or the other. Rap’s stereotypes, as with those of any topic, leave the deepest impressions on the least informed. Nation of Millions and Straight Outta Compton did indeed come out in the same year, and they were both revolutionary. Put simply, they reinforced the value of the First Amendment and freedom of speech. I think that is an entirely positive thing. WH: It’s obvious that Hot 97 is no longer the influential institution that it once was, and even Peter Rosenberg has to know that he has become the modern name attached to a company liked mostly for history and nostalgia’s sake. There are still merits to Hot 97 and Summer Jam in the present day, but we’ve established that they are now just one entity. No matter how out of touch his arguments seem, Chuck D’s accusation of Hot 97 as a “CORPlantation” does carry some weight in the present day. Until JJ Redick came along this year, The Los Angeles Clippers were an entirely black team. Donald Sterling’s ignorance has deep, distant roots, but the recent scandal couldn’t help but make the comparisons to a slave owner seem accurate. In terms of Hot 97, that accusation seems far from the truth. The station has done more to elevate and popularize hip-hop culture than it has to hurt/exploit it. As Sheldon noted, radio stations play songs because they’re catchy and people want to hear them. It’s highly unlikely that any executive has a social or political agenda aside from making sure their Bank of America account got six figures. As Mike said, Chuck D’s opinion as to the ways in which rappers should speak and the messages they should be spreading are just as important to digest. Ironically, Chuck D’s made his living off exploiting that us-against-them mentality. The best response to all of this came from Rosenberg himself, who stated, simply, “I didn’t really understand everything he was saying.” Hot 97 could be better, sure. But most hip-hop fans are participating in the culture using other avenues anyways. BJ: Every genre has its fans exploring music through avenues other than radio. I don’t know if it’s my ignorance to other genres compared to hip-hop, but I feel like you never hear such conversations with alternate rock, EDM, classical, etc. You hear about the New York post-punk scene or footwork scene, but never about an actual community in terms of having social responsibility. Yet we have to have a united hip-hop community. We need a united hip-hop community. Any thing that falls outside of the “betterment” of that rigid communal standard ought to be frowned upon. It’s like if I do something wrong, I fulfill some sort of stereotype. What are you doing? You’re making black people look bad!